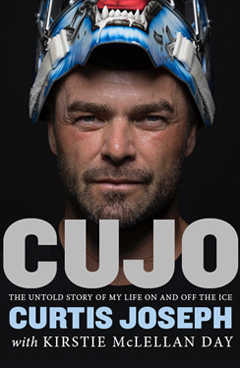 Curtis Joseph, known affectionately to hockey fans around the world as Cujo, was an unlikely NHL superstar. The boy from Keswick, Ontario, didn’t put on a pair of skates until most kids his age were already far along in organized hockey, and he was passed over by every team in the NHL draft. Despite an unorthodox start, he would go on to play eighteen seasons with the St. Louis Blues, Edmonton Oilers, Toronto Maple Leafs, Detroit Red Wings, Phoenix Coyotes and Calgary Flames; be ranked among the all-time greats in several key categories; and win an Olympic gold medal while representing Canada. Joseph is a legend in Toronto, where his fandom rivals that of other beloved Leaf greats, and he’s widely thought of as one of the best goalies of all time. For the first time, in this revealing memoir, Joseph talks about his highly unusual upbringing and what led him to put on his first pair of skates. 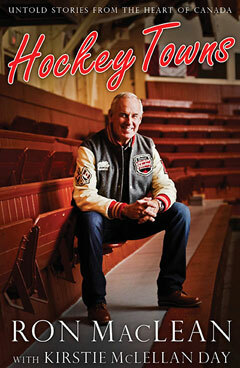 Written by Kirstie McLellan Day, the world’s top writer of hockey books, this book surprises and entertains, and shares on- and off-the-ice tales no fan has heard before: the untold story behind the legend. 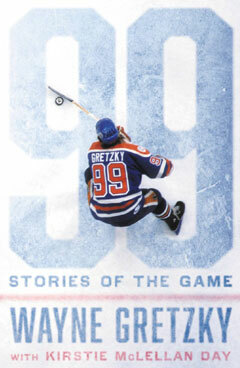 KIRSTIE MCLELLAN DAY ranks among the top hockey writers in the world thanks to six national bestsellers (including three instant #1 bestsellers): Theo Fleury’s Playing with Fire, Bob Probert’s Tough Guy, Ron MacLean’s Cornered and Hockey Towns, Wayne Gretzky’s 99: Stories of the Game, and Kelly Hrudey’s Calling the Shots. Kirstie is a mother of five and is married to Pyramid Productions Inc. president and television producer Larry Day. They live in Calgary. Follow her on Twitter @kmclellanday. 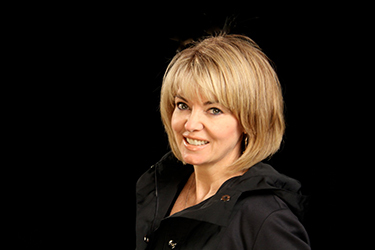 With six national bestsellers (three instant #1 bestsellers in a row) under her belt, including Wayne Gretzky’s #1 bestselling non-fiction book in Canada for 2016, Kirstie McLellan Day is considered the world’s top hockey author. 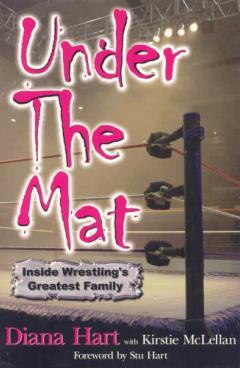 Harper Collins Canada Chief Editor Jim Gifford credits her with creating a new genre of sports book. Maclean's Magazine has dubbed her Canada's “Ice Queen”, while the Globe and Mail calls her “Hockey’s Leading Muse”. 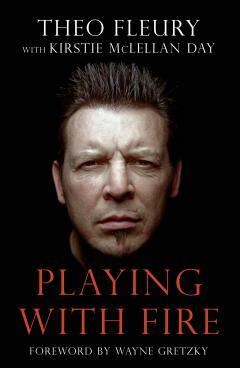 One of her best-known books, Theo Fleury’s Playing With Fire, was on the national bestsellers list for more than 52 weeks. 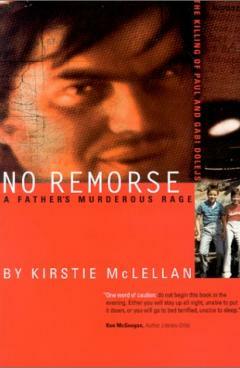 That led to a feature length documentary for HBO and a one-man play Kirstie wrote. The play has won numerous awards and continues to tour across the county. First staged at Alberta Theatre Projects in 2012, it was named best theatrical production of the year. 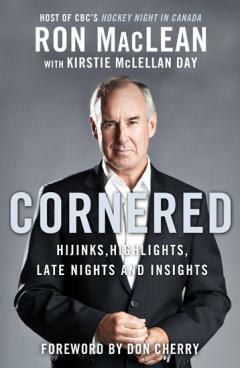 Kirstie’s other hockey books include Cornered with Hockey Night in Canada host Ron MacLean, as well as his second book Hockey Towns, a cross-country collection of emotionally powerful and personal stories from Canada’s favourite sport. 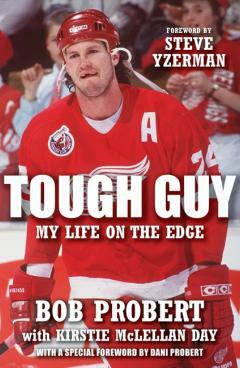 Kirstie worked with the late Bob Probert on Tough Guy, which became a Reader’s Digest Book of Choice. 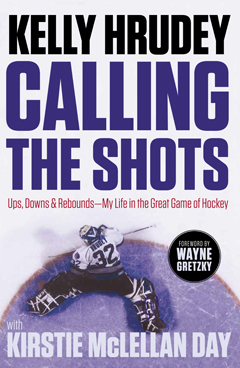 And in 2017 she worked with former L.A. Kings goalie, and Hockey Night in Canada broadcaster, Kelly Hrudey on his top seller, Calling the Shots. 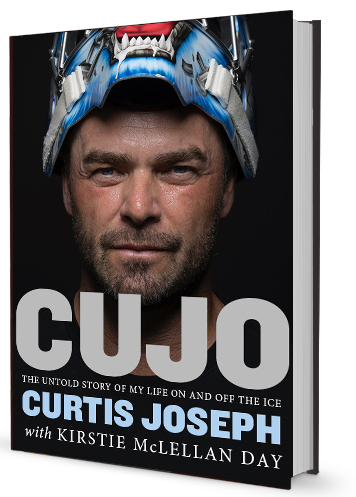 Her latest book Cujo: The Untold Story of My Life On and Off the Ice, with goaltender great Curtis Joseph is due out October 23, 2018. Kirstie was born and raised in Regina, Saskatchewan and studied drama at the University of Regina. She relocated to Alberta and has since worked as a private detective, investigative journalist, columnist, television host, producer and CEO of Pyramid Productions Television. She got her start as an entertainment reporter and writing biographies for A&E Biography Channel in New York. 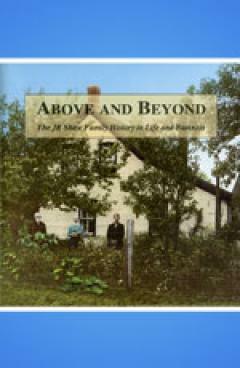 BookNet Canada recently released a list of the 150 bestselling Canadian books since 2007. Author Robert Munsch tops the chart with a remarkable 35 titles. McLellan Day is second on the list with five bestsellers (including the top-rated hockey book) while Margaret Atwood has four books on the list, and Alice Munro and Chris Hadfield are some of the writers with three.